Dogology: Why are Dogs so Different in Shapes Sizes and Types? Dogs are all the same species but look so different: WHY? Canines are all the same species but look so different: WHY? A cute little dog runs up to you, tail wagging, happy gait, eyes expressive, and all they desire is affection and attention from you. They will do anything to please you. Another dog runs up to you snarling, growling, and protecting its domain. The barking tells you to leave now or else. Reading these two sentences, can you tell what the size is of each dog? Can you tell what color the dog is or any physical traits about the dog? The answer would be no, because behavior in and of itself doesn’t fit the physical characteristics of a dog. Although dogs may look different they really are all the same genetically. Dogs come in all shapes and sizes from the the heaviest dog, the St. Bernard to the lightest dog, the Chihuhua. It is hard to believe that all these different breeds are the same species. Yet DNA tests reveals that all dogs, no matter what color their fur, what their personality is like, what size they are, or how long their ears are have a common ancestor. Every single dog you see has descended from the grey wolf. 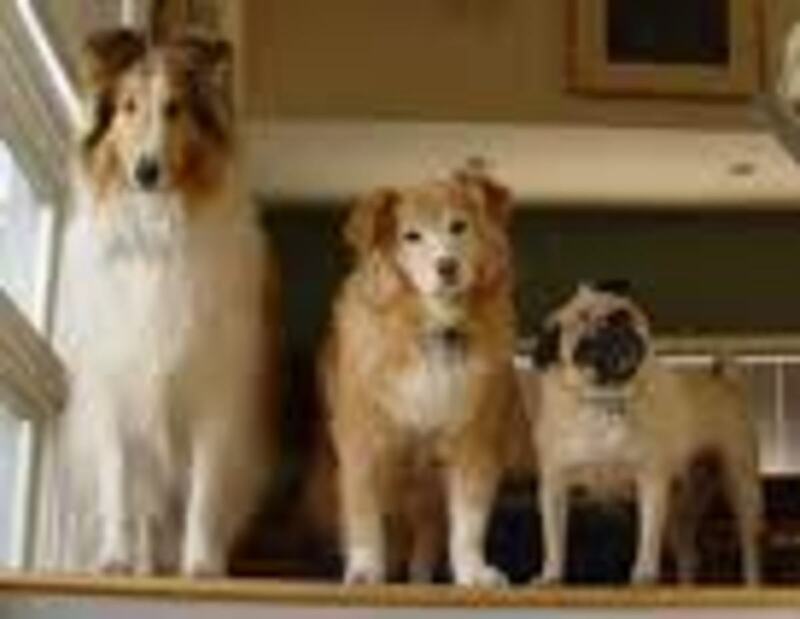 Additional DNA studies also show that 95% of a modern dog’s genes match to 3 original female dogs. With all this similarity in gene tracing, it seems implausible that dogs could look so different from each other. This is exactly what makes them the most varied land animal on earth, than any other species that exists. There are no other beings that has a big a difference in body size as those four footed friends known scientifically as canis familiaris. Dogs descended from wolves about 15,000 years ago. All wolves look alike, yet the domestic dog comes in so many shapes and sizes. There are over 150 recognized breeds by the American Kennel Club (AKC), over 400 breeds worldwide, and uncounted types of mixed breeds, plus the new hybrid purebred breeds, like pugles (beagles and pugs), or the golden doodle (golden retriever and standard poodle). Every time different breeds reproduce, a different resulting dog may emerge. In a gene study, purebred dogs tend to share more DNA within the breed. Mixed breeds showed much more variation. In dog’s DNA there are about 6 or 7 areas in the genomes (the entire DNA) that reflect 80% of the differences in size between the dog breeds. Humans are much more complex. Dogs have these large chunks of genetic regions that determine what genes are inherited. Human beings have as much as thousands of genetic variables. Dogs were bred for specific purposes and needs of people. Some people needed dogs to help with hunting, or protection, or herding, or rodent eradication, or were used as signs of wealth. The variety of traits people looked for in a dog, when they bred them, led to faster than normal evolutionary changes in the canine species. The result of selective breeding is a species that shows changes that are bigger and more varied than would have happened with natural selection. It is believed that selective dog breeding began about 5,000 years ago to help people and allow their daily chores to be easier. This helped to make dogs the companion of man. Dogs would then benefit from advances humans would make over the centuries and would also suffer detriments from inbreeding due to high demands of certain breeds. There are about 8 million dogs in the UK. The population of dogs as pets in the U.S. is about 50 million plus the wild dogs, makes canines a very successful reproductive species. In comparison, the wolves, the dog’s ancestors number approximately 150,000. Dogs desire to adapt themselves to man’s lifestyle and man’s desire to take care of these animals, and breed them for their specific traits, has created easier breeding possibilities for dogs, than if they were left to fend for themselves in the wild. Intensive breeding over 500 years has led to the variety of today’s dogs. Charles Darwin though dogs were diverse because of a mixture of coyotes, wolves and jackals. But this thinking was well before DNA and genetic tests were available. Now DNA shows a proof positive trail that leads to the grey wolf (canis lupis). Dogs split from the wolf 135,000 years ago. Throughout the centuries, people bred dogs for their abilities and skills that make them good at hunting and retrieving like pointers, hounds, and retrievers. People wanted dogs to help get rid of vermin and rodents, and terriers became popular. People needed help from their canine companions to run down prey, the greyhounds were selectively bred. Some dogs were bred for their looks and used as a status of wealth. Human offsprings are a genetic mix of their parents. The genes are a result of the “average” of these inherited genes, and determine a person’s phenotype, physical makeup. 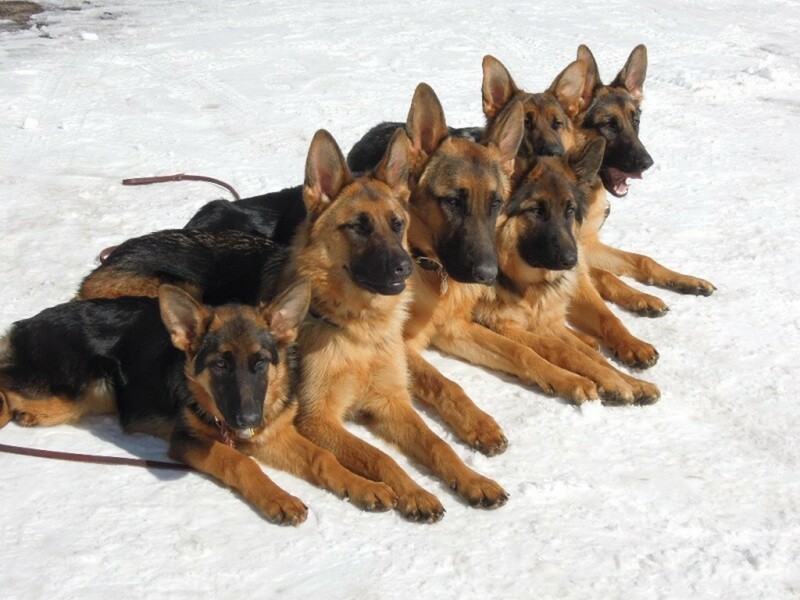 Dogs were bred for their inherited characteristics, and are determined by the interaction of multiple pairs of genes. Dog genes create a brand new mix of genes. Darwin has taught us that evolutionary changes come from successful reproductive traits based on the environmental conditions. Most species did not evolve randomly, but due to “natural selection” and “survival of the species”. Dog breeds were are still are created by humans and did not evolve. People selectively chose dogs based on their physical attributes. Evolution takes millions of years. Breeding takes a few generations. Because of the way gene clusters exist in dogs, cross breeding dogs doesn’t “average” these genes, like humans. The way a dogs genes works, causes a whole new dog never seen before, known as “phylogenetically bizarre”. All dogs have the same number of chromosomes, the differences we see physically come about because the sequences in the gene changes. In essence, dogs have an amazing ability to show different expressions of the same genes like different versions. Humans purposefully chose dogs for their desired traits that helped them in their tasks and with their needs. Do you think dogs and wolves, can successfully reproduce even though they are different species? who did these dogs adopt? Do you think dog breeding in the future will become more conscientious socially? You are smarter than me. Thanks for the insight. Glad you enjoyed this article about dogs. It is fascinating how they can all look so different. Cats and other animals don't have those big chunks of genetic regions that dogs do. It would take other species eons to see such variations in evolutionary terms. It really is fascinating. Thanks for your comments and for stopping and commenting. Great hub! 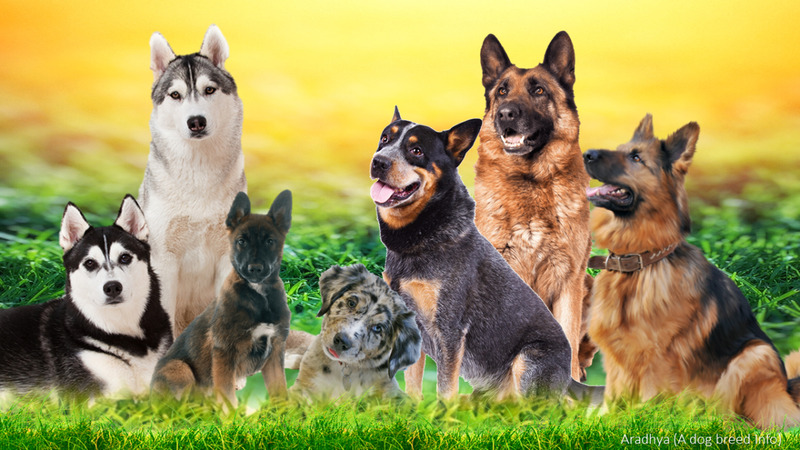 It is fascinating how dogs have much more variation in the different breeds, than other domestic pets such as cats for example. I love dogs and it was nice reading your hub. Thank you for sharing. I've always been curious about the history of dogs.hen I was young I got books at the library but they all seemed contradictory. Some of the inbreeding also leads to problems in later years and I agree with Bkcreative that dog owners should show more responsibility. Too many wonderful pets are abandoned and have to be euthanized. Good article about the origin of dogs! This is a very interesting and informative material. I learnt a lot from reading it. Thank you! Rated up. You know we do call them canines - and after that - forget entirely that they are one - and yet so very different. I can't think of any species that is so varied. What a nice article - so informative. As far as being conscientious socially - seems we are doing some horrible things to our canine friends. I read that 4 million are euthanized annually. Even worse, I read that the American Veterinary Society wants to start spaying/neutering dogs at 8 weeks - while they are still growing. They say this will reduce overpopulation - but in fact it creates health problems for the growing dog - which means many more trips to the vet. But recently it was found that a woman here on Long Island was euthanizing the less than perfect pure breeds and in the most violent way. We probably need 800 more laws to make people responsible for having a dog so they cannot mysteriously abandon them with no repercussions. Rated up! Thanks for a great hub. Nice to meet you too!